MAC Proposes Stringency in UK Immigration Rules! With the graph of unemployment on an all time high in the UK, Indian tech companies are believed to be the main culprit for the matter. UK being a major export market for more than $40 billion of India’s software industry, lower salary employees from India are alleged to replace local UK workers. As a result, MAC (Migration Advisory Committee) presented a more stringent immigration rules proposal for evaluation by the UK Government. Top tech firms of India that includes Infosys, TCS, Tech Mahindra and Wipro serve British Customers like British Airways, BT and British petroleum as they send their Indian professionals to complete short-term assignments in the UK. However, if immigration norms go according to the MAC proposal, these companies may need to switch over to UK workers rather than Indian employees to handle their onsite projects. Many UK anti-off shoring lobbies like Unite and APSCo (The Association of Professional Staffing Companies) claim the misuse of ‘intra-company transfer’ regulations by Indian tech companies as UK workers are being replaced by Indian employees whose wages are even lesser than country’s prescribed salary levels. Earning threshold should be in accordance with inflation in earnings, remarks the MAC report. Work permits granted by the UK to professionals gaining entry via intra-company transfer last year, counts to almost 45,766. Majority of these permits were awarded to IT professionals and almost 69 percent of them were Indian nationals. Further, around 48 percent of transfers under the intra-company category are granted for Indian professionals of only one occupation, namely, software professionals. On the other hand, lobby for the software industry in India, Nasscom, do not seem to have any problem with the MAC report. They believe that such changes will fix loopholes of current system and keep a check on abuses that were previously reported. With a specialized system to audit dealings of the visa process, new norms make sure adherence to guidelines, says president of the Nasscom, Som Mittal. Salary threshold requirement of 20,000 pounds per annum is also suitable as only 0.2% of the present ICT employees who go to the UK have a salary below that level, he adds. However, another recommendation mentioned in the MAC report asks for calling off the right to the PR status to migrants in the UK, coming via intra-company transfer. 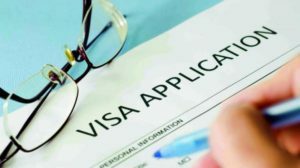 According to the current system, migrants who have worked in the UK for five years under the Tier 2 visa including intra-company transfer route, is eligible to apply for permanent residence. At the same time, Indian IT professionals in the UK are of the opinion that such amendments would not be of any help. Calling off the right to permanent residence in the UK for immigrants coming under the Tier 2 visas would mean injustice of the skilled professionals who need to shell out taxes without being able to apply for UK permanent residence, says Amit Kapadia, executive director of the Highly Skilled Migrant Programme (HSMP) Forum in UK. Experts like TowGroup’s research director, Bob McDowall, agrees to the allegations of the wages of Indian professionals being below the minimum UK wage but he also adds that the substantial difference in the cost of living in the UK and India cannot be denied. Also, increased work experience requirement for IT workers coming for short-term projects in the UK is another point of addition in the MAC report. 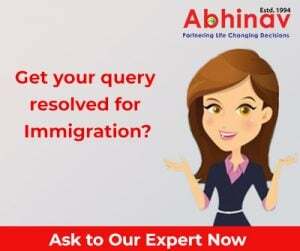 To make sure that the route permits only professionals with expertise specific to their company to immigrate to the UK, the qualifying period is proposed to make double from 6 to 12 months for company overseas. Recommendations by MAC are completely advisory and nothing can be said about its acceptance until an approval from the Home Office. So, all that can be done is wait for the Home Office to respond.